Bambo’s pack of 30 maxi nappies are a great eco friendly alternative to conventional nappies for babies and children between 15-40lbs. The extra soft material feels like soft clothing against your baby’s skin, and since it’s dermatologically tested there is no chance of any irritation or rash. The thin, flexible design ensures maximum comfort and they are super absorbent to avoid leaks. Bambo nappies boast the Nordic Swan Ecolabel and the FSC certification which tell you the production of these nappies had to be in line with strict conditions to limit environmental impact, while the materials were sustainably sourced. 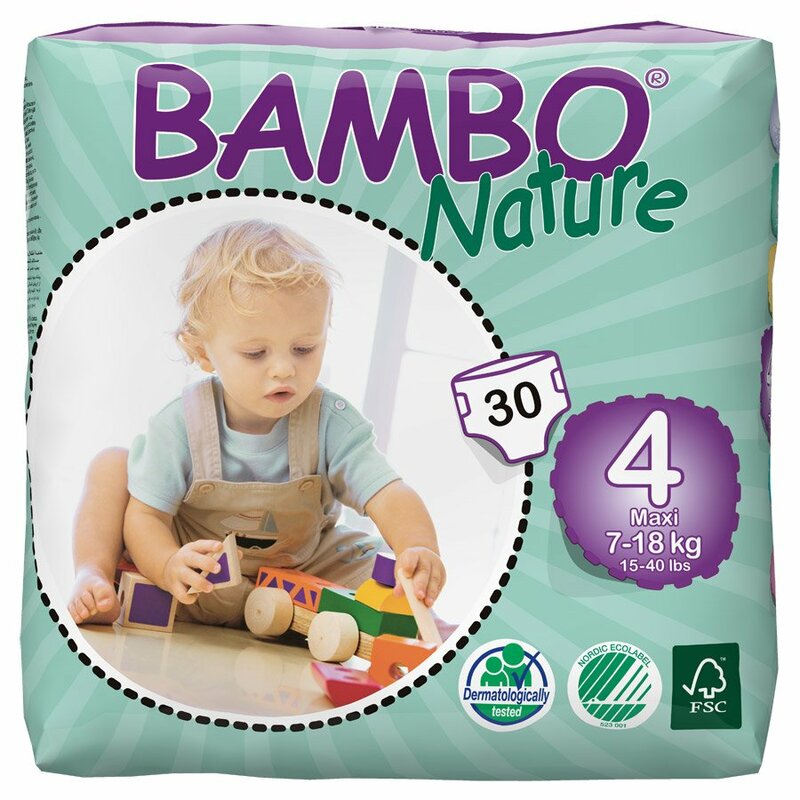 The Bambo Nature Disposable Nappies - Maxi - Size 4 - Pack of 30 product ethics are indicated below. To learn more about these product ethics and to see related products, follow the links below. My daughter says these are the best brand out there - they hold moisture well, don't leak (even if your baby has slim legs), and keep baby's bottom dry. Nice design too. We have not used the size 4 yet but they are on standby for when my grand daughter needs this size. They seem fine in the day but I used one for my daughter last night and it leaked quite badly. They're lovely, soft and light, though. 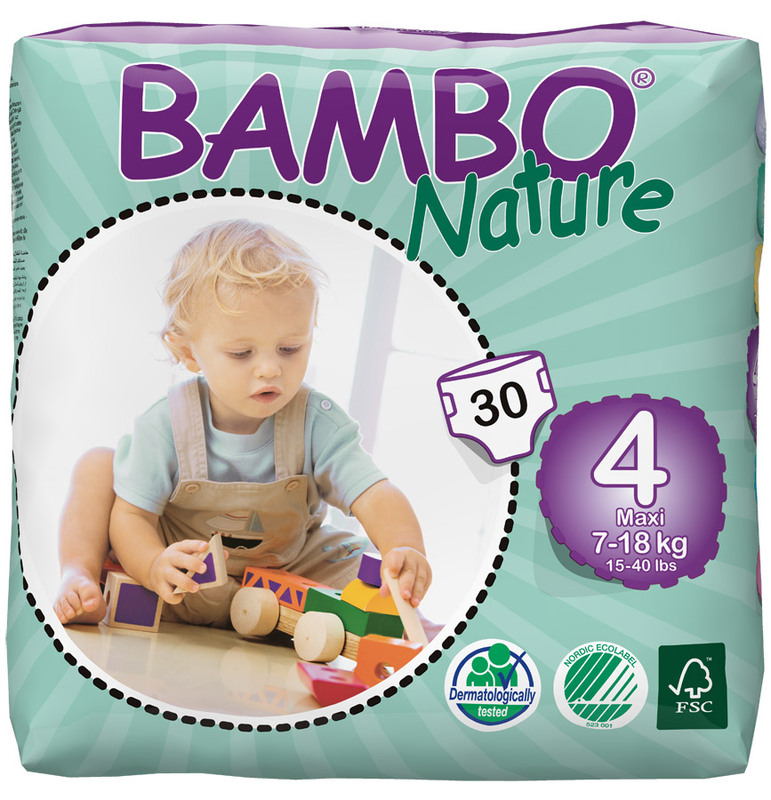 There are currently no questions to display about Bambo Nature Disposable Nappies - Maxi - Size 4 - Pack of 30. Free from artificial perfumes and lotions, and with pulp bleached by oxygen rather than harsh chemicals, Bambo’s range of Nature eco nappies are kind to your baby’s skin and better for the environment too. These disposable nappies are a more eco-friendly option, being twice as biodegradable as regular nappies which minimises waste sent to landfill. Available in different sizes for different ages, these nappies will keep both you and your child smiling.